You will receive an email with your personal link to apply to scholarships. 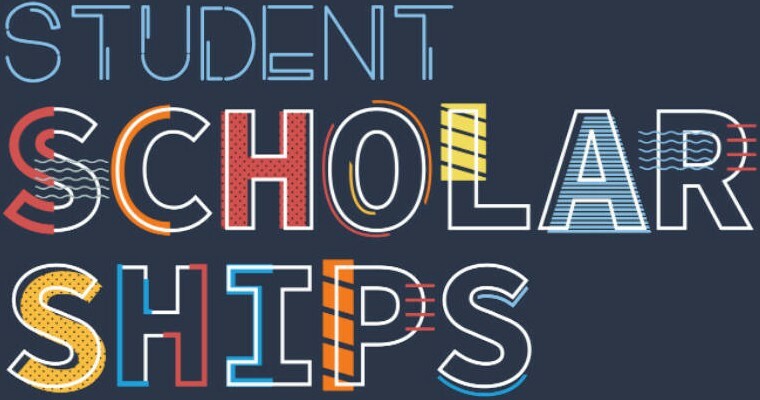 Follow the steps to complete the scholarship application. The Lighthouse Labs Scholarship Program was created to support the inclusion of underrepresented communities in Canadian technology. By empowering exceptional individuals through merit-based scholarships, the program aims to reduce barriers and foster talented, community-focused Developer role models. Lighthouse Labs is proud to commit over $150,000 to the program, going directly to scholarship recipients. By partnering with like-minded companies and inclusivity innovators, Lighthouse Labs hopes to amplify the impact this program provides. Through industry and expert consultation, the goal is to create a positive cycle of inclusion by encouraging scholarship recipients to inspire other individuals to pursue a career in technology. Through these scholarships, Lighthouse Labs and our partners hope to lower barriers, provide greater access to coding education for underrepresented groups in technology, and alter perceptions of what it means to be a developer. Futures in Innovation and Technology, a digital skills training initiative of the First Nations Technology Council, is open to all Indigenous peoples in British Columbia. Through a combination of over $150,000 in First Nations Technology Council funding and the new Lighthouse Labs Scholarship Fund, seats will be made immediately available in the Web Development bootcamp program. With the goal of reducing barriers and increasing access to the technology field, the First Nations Technology Council has additional funds available to support students’ living expenses. This scholarship is open to anyone who self-identifies as Indigenous (Status First Nations, non-status, Metis, Inuit) in British Columbia. No additional essay is required for applicants to be considered for this opportunity - simply confirm you self-identify as Indigenous on the first page of your Bootcamp application. The Breaking Barriers Scholarship is available to LGBTQA+ applicants across Canada who are committed to nurturing digital literacy and diversity in their community. Successful candidates receive $2000 towards our Web Development Bootcamp nationwide. This scholarship allows Lighthouse Labs to contribute to a more diverse and inclusive future within Canada’s thriving tech industry, by encouraging students from the LGBTQA+ community to pursue software development careers. Cogeco Peer 1 prides itself for having female leadership in Canada, and in 2018, the company selected its first female President (global). This scholarship represents Cogeco Peer 1’s efforts to establish new ways to make telecommunications an industry where everyone has equal opportunities for success. The Jaime Leverton Scholarship will be awarded to four exceptional women looking to begin their developer journey and give back to their community. Each recipient will receive $5000 towards tuition, provided in tandem by Cogeco Peer 1 and Lighthouse Labs. Ready to apply for a scholarship? Congratulations! We’re excited to learn more about you and how a scholarship could support your career development. All of Lighthouse Labs’ scholarships are merit-based and also require you to answer an eligibility question. Once you complete your Bootcamp application, you will be asked to submit your written essay of up to 300 words answering the eligibility question. You will receive an email with your personal link to apply to scholarships. Follow the steps to complete the scholarship application. Complete the admissions process and begin preparing for bootcamp. Scholarships are awarded 3 weeks before your cohort start date. For more details about our scholarship program and selection process, view our FAQs. Is your organization interested in joining the companies above by providing learning opportunities for underrepresented groups in technology? The First Nations Technology Council is an Indigenous-led not-for-profit organization that provides free digital skills training for Indigenous people and is working towards equitable access to technology for Indigenous communities in order to advance sovereignty in the digital age. Women in Web Development is the most active online community for female developers with over 1500 members. We support each other on our coding journeys and stay up to date with the latest trends and opportunities. Venture Out is Canada’s first and largest conference connecting LGBTQA+ entrepreneurs and folks in tech to career opportunities, role models, and each other. Every year Venture Out brings together the community at MaRS Discovery District for inspirational talks, skill-building workshops, and networking opportunities. Together, Venture Out is building an LGBTQA+ tech and entrepreneurship community, with the goal of creating a more diverse & inclusive future. How do we identify which groups we work with? Lighthouse Labs recognizes that “underrepresented” is difficult to define. We approach partnerships with curiosity, and with a goal of learning more about these underserved communities and how to best provide opportunities to them. Lighthouse Labs is open to partnering with companies and organizations with a genuine interest in reducing barriers for underrepresented groups in technology in Canada. Why do I have to pay my deposit to meet the scholarship criteria? Lighthouse Labs’ Scholarship Program is a merit-based program, set up to further encourage and support those who are already committed to coming to bootcamp, regardless of whether they are scholarship recipients. Our scholarships are merit-based. The scholarship committee will review candidates’ bootcamp applications and scholarship essays. Scholarship recipients show a combination of high potential for success in the bootcamp program and are committed to acting as a spokesperson for representation in tech. What if I cannot attend bootcamp without a scholarship? Lighthouse Labs recognizes that bootcamp is a big financial commitment and we encourage you check out this blog post about government grants or this FAQ post about financing. The scholarships are not setup to be grants or bursaries and are awarded based on merit and social championing as opposed to financial need.